Online activation is practically automatic. 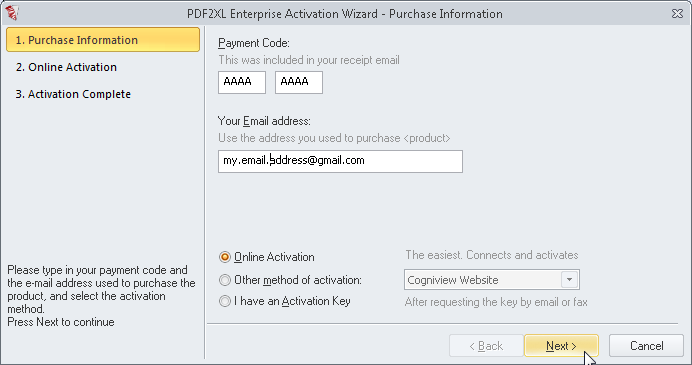 You just have to enter the payment code and email address, and PDF2XL will do the rest on its own: connect to Cogniview's activation server, authenticate the details, and activate itself. Online activation may fail if your computer is behind a firewall or not connected to the internet, or if the payment code and email address you entered are incorrect. In any case of error, don't hesitate to contact [email protected] for help.